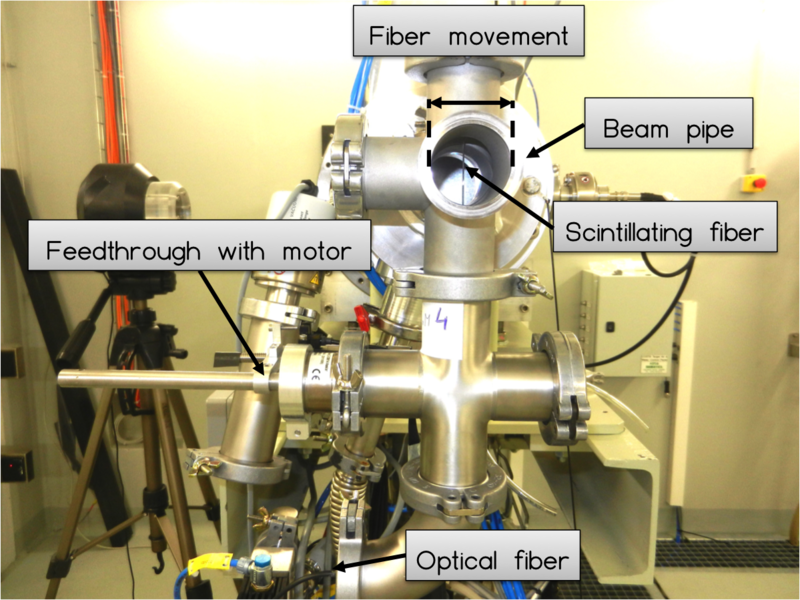 The universal beam monitor (UniBEaM) detector is based on the collection of light produced by scintillation inside Ce and Sb doped silica fibers passed through the beam. This detector is suitable to monitor both pulsed and continuous beams and can measure beams ranging from fractions of pA to about 20 μA. These developments attracted the interest of industry and an agreement for the industrialization of the UniBEaM detector was signed with the Canadian company D-Pace. The UniBEaM detector and its main components.